Silverstate Heating and Air is one ot the top rated HVAC contractors serving the residential and commercial market in Las Vegas, Henderson and Boulder City, NV. Clients have expressed justifiable concerns over rising Freon refrigerant costs, so they want all area residents to understand what has transpired to cause this increase. Property owners in Las Vegas, Henderson and Boulder City are not required to stop using their current air conditioning systems. Freon will still available, but as the phase out continues, the supply will be limited. If a homeowner or commercial property manager in the Las Vegas area has recently had the air conditioning system serviced or called for an estimate for a repair, they may have been surprised by the sudden increase in the price of the refrigerant that is used to recharge the HVAC system. R-22 refrigerant, more commonly known as Freon, is being phased out as part of the U.S. Department of Environmental Protection Agency’s Clean Air Act. The government considers the use of Freon is bad for the environment because it is a hydrochlorofluorocarbon (HCFC). When leaked into the air, the chlorine from the gas is released into the atmosphere and causes damage to the already fragile ozone layer. The ozone layer offers a line of defense from the sun’s harmful rays, and once gone, it cannot be replaced. One condition of the Clean Air Act is as of 2010, air conditioning manufacturers were required to stop producing equipment that used Freon. A more environmentally friendly replacement, R-410a, known as Puron is now used in new air conditioners. Puron does not contain chlorine and is much safer to the environment than Freon. Residential and commercial property owners in Las Vegas, Henderson and Boulder City are not required to stop using their current air conditioning systems. Freon will still available for existing air conditioning systems, but as the phase out continues, the supply will be limited. This is because new Freon will no longer be manufactured, and the manufacturing of it has been severely reduced over the past several years. Instead, the only sources of this refrigerant will come Freon that is recaptured and recycled from existing systems as they are removed from service. Under normal conditions, clients generally do not need to purchase Freon unless a service technician determines there is a loss of it in the air conditioner or heat pump system during a repair or preventive maintenance call. The only way Freon can escape from the closed system is if there is a leak present. However, homeowners need to be aware that the price of Freon will continue to steadily increase as the supply decreases. 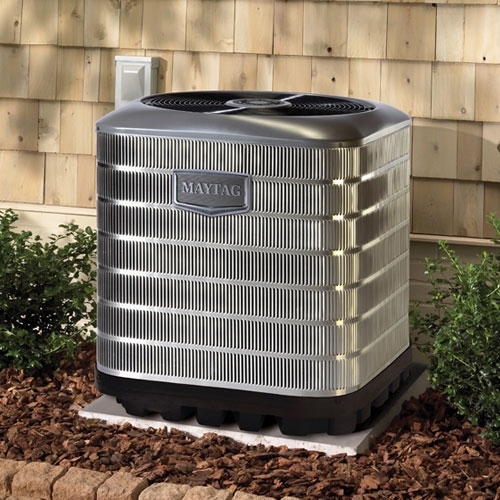 As the phase out of Freon continues, property owners can discuss options with Silverstate HVAC http://www.airconditioningrepairlasvegas.com/ or other A+ rated air conditioning repair contractor. Several options exist, including choosing to replace older air conditioning systems and avoiding future rising prices and shortages altogether. Today’s newer systems are much more energy efficient and may save money on heating and cooling costs in the long run by upgrading now.